Around the time IT consultants were in a frenzy over the Y2K bug, technicians of another kind were creating the music that would entrance us if the world really did end. That era gave birth to a particular brand of deep house, also described as soulful house, melodic house, chill and so on. Two artists in that movement struck me as the most indelible at the time. One was Blue Six (a.k.a. Jay Denes) which was responsible for the hit, Sweeter Love (1999, Wave Music). And the second was Miguel Migs (a.k.a. Miguel Steward) who produced under the pseudonym, Petalpusher. Soon, there was a flood of “chill” and “lounge” collections. Cafe del Mar was as ubiquitous a franchise as Starbucks. After the deluge, house enthusiasts sought higher ground, wanting something edgier, more innovative. Their call was answered. New electronic music flourished in the wake of deep house and branched anew with projects like Groove Armada’s Goodbye Country (Hello Nightclub) (Zomba Records, 2001), Dave Lee’s orchestral Jakatta (Z Records, 2002), and Mark Farina’s hip-hop laced Mushroom Jazz series (Om Records). Still, there was something nostalgic about the summer of 1999 and 2000 and the music Blue Six and Miguel Migs imprinted on us. 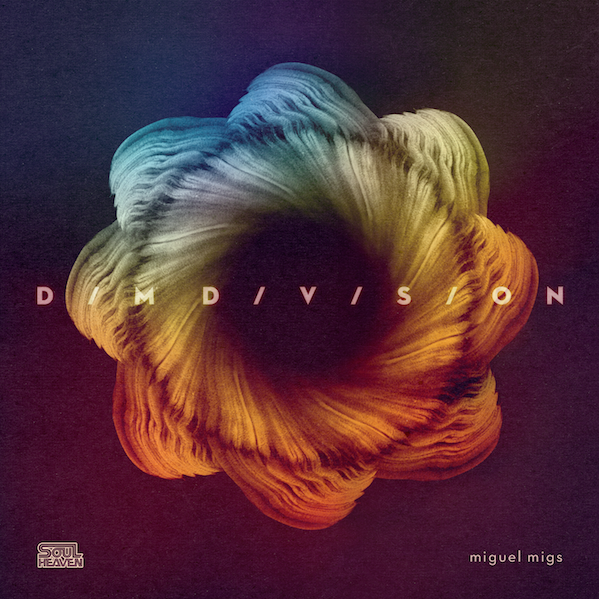 That feeling is back with Migs’ new record, Dim Division. The album is rich with pleasing chord progressions, entrancing vocals, and beats that are utterly simpatico with the music. It has remarkable depth among its 15 tracks, which will easily remain in high rotation for fans of electronic and house music. At the moment for me, “Running Away” featuring Martin Luther is on endless repeat. Other vocalists include regular collaborator Lisa Shaw, Meshell Ndegeocello, Omar, and Aya (a.k.a. Lysa Aya Trenier) who featured on many Blue Six tracks. Migs’ catalog through the 2000’s maintained a steady hand at deep house but Dim Division could be his very best. I’ll be listening for years still.